World Peace is defined as a state of freedom and happiness between people of all nations. At my school, County College of Morris, professors encourage students to create a work with the objective to spread the message of World Peace and the human connection among the people of the world. Since July of 2014 I have been so fortunate to have the yoga community impact my life in the beautiful way that it has. So, in creating the We the Peace Movement project, I thought, what better way is there to spread the message of world peace, than doing the one thing that brings peace to us all? We may all start practicing yoga for different reasons, but we continue practicing for the same. Not only for the people this practice has brought into our lives, but the way we feel both physically and emotionally. The word yoga itself literally means union. It is a connection of movement to breath, to bring peace and connection, and wholeness throughout the body. Due to recent events, I have seen the devastation of relationships destroyed over social media, friends refusing to talk to each other, and families being torn apart in a time when now more than ever we should be coming together. In the same way that the body is more harmonious when movement and breath are linked, we as a species are more harmonious when we come together to support one another. Over the years, I have had the incredible honor of seeing how the yoga community has brought people together from all corners of the globe, and healed countless hearts, including my own. I have seen the most beautiful relationships form, and the love shared in bringing these communities together is a force stronger than any I have ever felt. 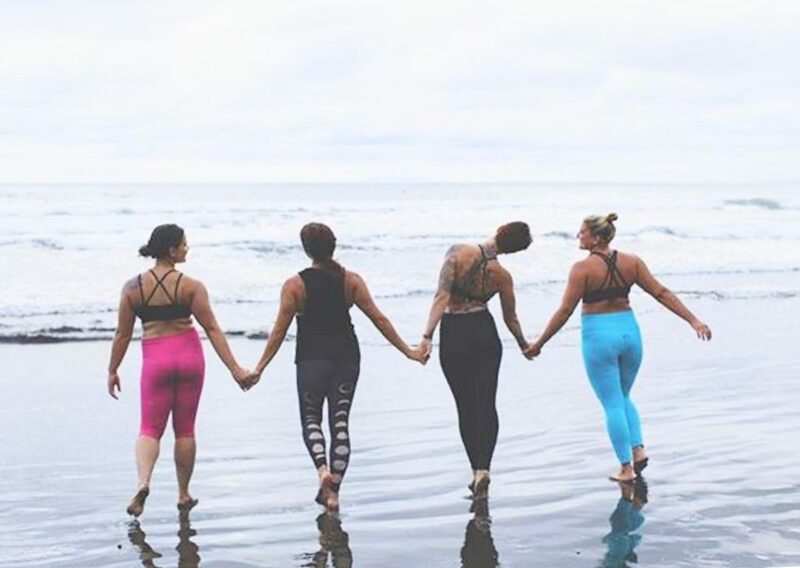 When I started the movement, I asked three of my dearest friends, who I had all met through the yoga community, to help me spread this message. Lauren Murray, Jozi Tatham, and Nadia Aksar, have all had such an incredible impact on my life, and the lives of everyone they meet. I created a sequence of movements which included all very expressive and expansive heart opening poses and shared the flow with these three teachers. In bringing the foundation of the project together, each one of us gathered our tribes together to bring this flow to life. 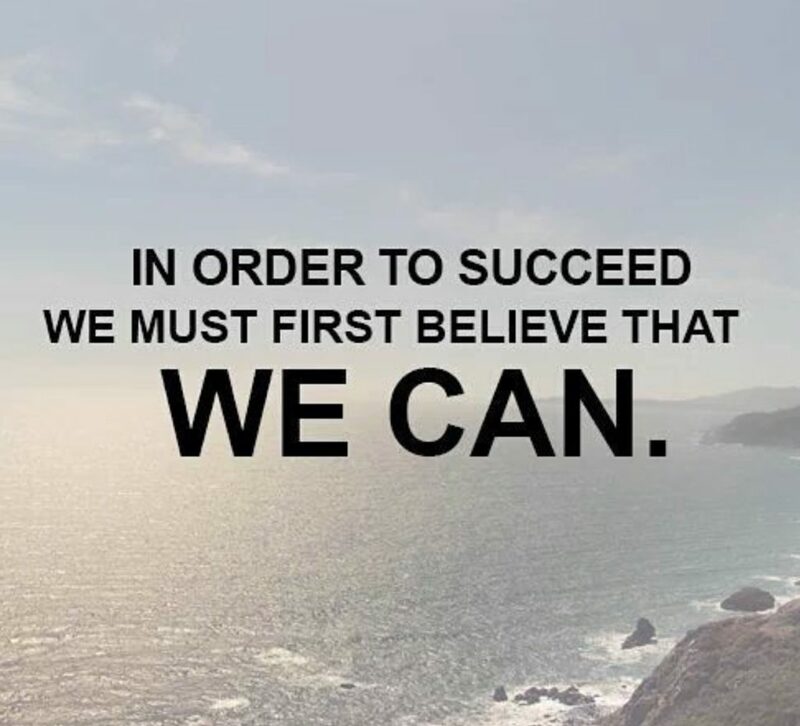 In doing so, we are able to begin spreading the message of world peace from coast to coast, hosting free classes in New Jersey, Wisconsin, California, and Colorado. 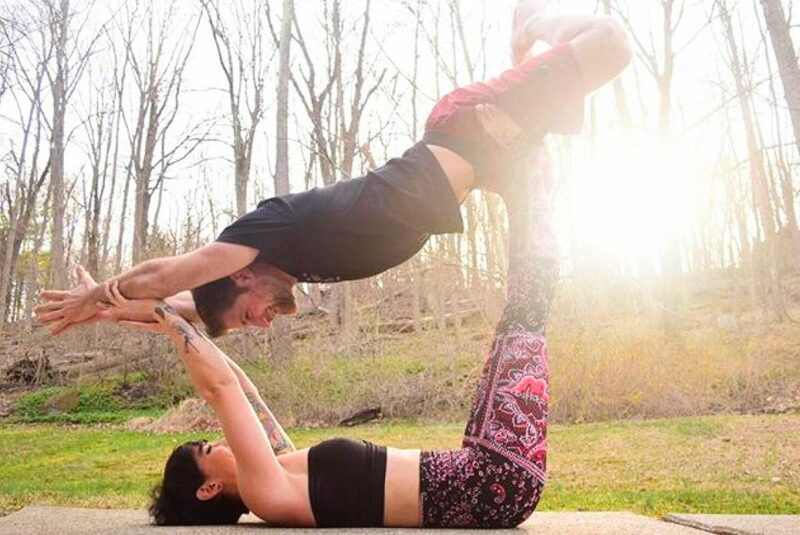 In addition to creating the sequence, I created a post on my Instagram asking those who see it to take a picture doing a yoga pose with someone they love, and in the caption of the picture write one thing they love about that person. Using the hashtag #WeThePeaceMovement the person posting the photo would then tag someone to do the same, with someone they love, as they continue spreading awareness of the project and the positive message of the importance of us coming together. Social media has brought people together from all over the world. Even in the beginning stages of the movement, it has allowed us to connect with beautiful new souls, who also believe in the power of community. We want this movement to not only be something that was a result of the We The Peace Movement project, but something that we continue to move forward and spread the message of off our mats as well as on them. Yoga Sutra 1.33 teaches us to cultivate attitudes of friendliness toward the happy, compassion for the unhappy, and to delight in the virtuous in order to create peace within. By allowing these daily practices of peace to flow through us, we let them flow into others we meet. So, as we begin to move, we move with purpose. Let yoga fill your life. Let your actions be guided by love, and you will continue to spread world peace through movement, because we are after all, the peace movement through yoga. What will you do with your pain?